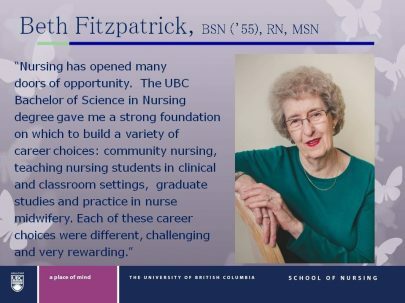 Beth Fitzpatrick and Irene Goldstone, both BCHNS members received prestigious awards from UBC School of Nursing Thurs eve. May 8th. 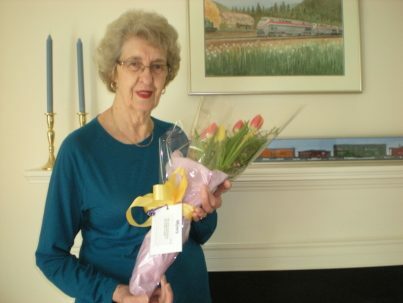 Beth the “Award of Recognition.” for the UBC 2014 School of Nursing alumni division, Congratulations Beth! 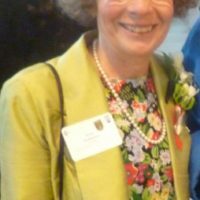 Irene Goldstone BCHNS May 2014Irene Goldstone the “The UBC Nursing Partnership Award” which is awarded at the discretion of the Director of the School to non-alumni who have made significant contributions to nursing and to the School. Congratulations Irene!